The charm of Pondicherry is peerless, this one of the best tourist destinations in India, is a perfect for anyone seeking a peaceful holiday. The French influence in Pondicherry’s culture as well architecture intrigues the interest of the visitors, however, one cannot deny the popularity of Auroville amongst international and domestic travellers. 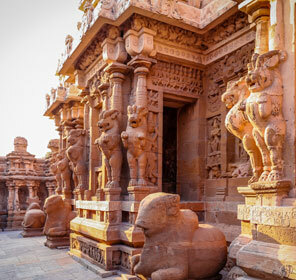 Dotted with churches, museums, temples, statues, and beaches, and adorned with a rich Tamil and French culture, Pondicherry gives reasons enough to plan a trip here. Fringed by the Bay of Bengal, the union territory is blessed with some surreal golden sand beaches like Promenade, Serenity, Auroville, and Paradise that are ideal for that unparalleled beach vacation. The backwaters too offer nature lovers a slice of paradise they have been visiting the place for. Pondicherry takes one on an amazing walk back in time. The city’s White Town area is adorned with French style buildings and make for heritage sightseeing tour. The Aurobindo Ashram is the Mecca of every history lover and is one of the popular tourist attractions in Pondicherry. The churches in particular are visual treat to the eyes. And if these have not satiate the history buff in you, there are museums to offer a detailed journey into the glorious past of Pondicherry. Sunbathing, swimming, heritage walks, and binging on the delectable dishes are some of the best things to do that make a holiday in Pondicherry truly a travel experience to savour. 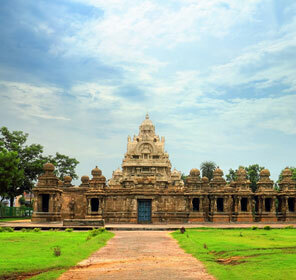 Find the detailed information on how to plan trip to Pondicherry conveniently. 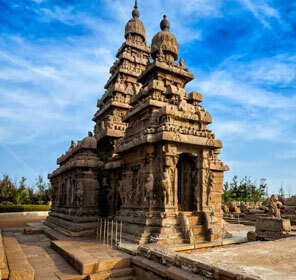 We offer authentic information on how to reach Pondicherry by different means of transport along with details on best hotels, places to see, and things to do. Also, rely on us for trustworthy weather and best time to visit information. 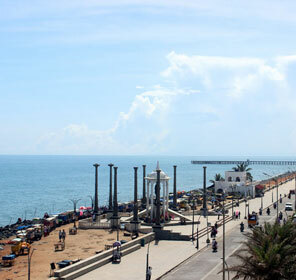 Also explore different sightseeing attractions in Pondicherry with the help of the map made easy for you to navigate.